This year has flown. We are so grateful to see how our family has grown too! It has been amazing to watch the progression of so many talented and hard work dance students from all over the world who joined us this year. 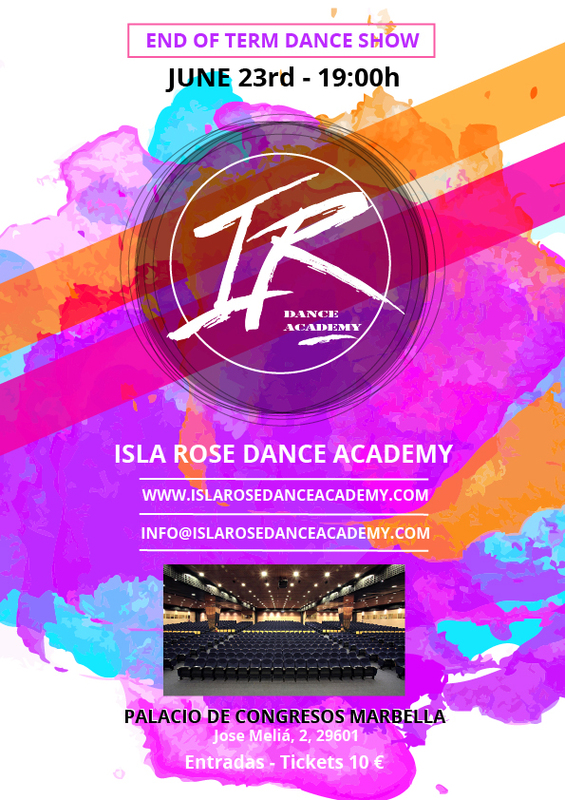 We are thrilled to announce the Isla Rose Dance Academy End of Term Show! Next June 23rd, at 19:00h, the whole community is invited to fill the Palacio de Congresos Marbella and watch the choreographies we developed this year. Save, share and don‘t miss the date! From our young tots to the Isla Rose Dance Company, the audience will enjoy hip hop, jazz, ballet, silk and aerial loop, acrobatics and capoeira performances. But not only that. Our beautiful student Amaria Harding will also be singing, we will be having a special guest Tato performing popping! The IMA Models Academy will be having a fashion show and Mario Parafina will also join us with his Capoeira Marbella students. When: June 23rd, at 19h. Where: Palacio de Congresos Marbella (Calle José Meliá, 2, 29601, Marbella, Málaga).